Carl A. Minning, Jr., M.D. Chris A. Minning, M. D.
Glaucoma is the second leading cause of blindness in the United States. 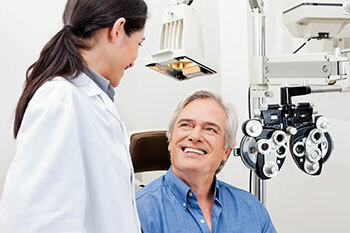 Only about half of the estimated three million Americans who have glaucoma are even aware that they have the condition. When glaucoma develops, typically there are no early symptoms and the disease progresses slowly. 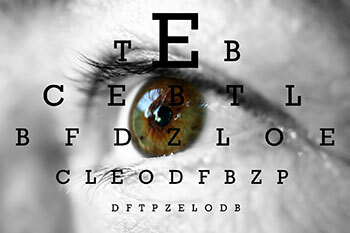 Fortunately early detection and treatment can help to preserve vision. Glaucoma is a disease that damages the eye’s optic nerve. The optic nerve carries visual information from the eye to the brain. In most instances, damage to the optic nerve is due to an increase in the pressure inside of the eye. There are many different types of glaucoma. Glaucoma is grouped into two categories: open or closed/narrow angle glaucoma. The type of glaucoma a person has can change the recommended treatment. The eye normally produces a fluid called aqueous humor from a structure that sits behind the iris (colored part of the eye) called the ciliary body. This fluid then flows in front of the eye’s natural lens, through the pupil (opening in the center of the iris). The fluid then drains through a structure called the trabecular meshwork. The trabecular meshwork has lots of microscopic holes that allows the fluid to leave the eye where it is collected into tiny veins on the surface of the eye. The balance between how quick the eye creates fluid and how quickly it is drained creates pressure in the eye. In narrow/closed angle glaucoma, the space between the iris (colored part of the eye) and the cornea is not wide enough to allow fluid to reach the trabecular meshwork. Typically this type of glaucoma is treated with laser. The laser creates a new, small opening in the iris. This lets the iris rest back and creates more space between the iris and the cornea. More fluid is then able to reach the trabecular meshwork. If the space bwteen the iris and cornea was narrow for a long time, scar tissue can develop and other treatments like eyedrops or surgery may be needed. This type of glaucoma sometimes occurs in painful attacks. The pain goes away when the eye pressure is lowered. Open angle glaucoma is the most common form of glaucoma. In open angle glaucoma, there is adequate space between the iris and the cornea, but the fluid is unable to move through the trabecular meshwork quickly enough to keep the eye pressure low. Open angle glaucoma is most commonly treated with eyedrops, laser, or a combination of both. 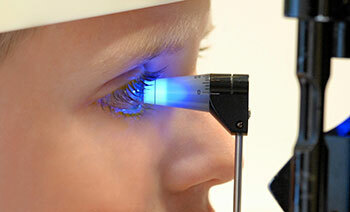 In certain patients, eyedrops and laser cannot adequately control the eye pressure and surgery is recommended. Eyedrops used to treat glaucoma work by either slowing down how quickly the eye creates aqueous humor or speeding up how quickly it is drained. If you are prescribed eyedrops it is important to take them everyday as instructed to keep the eye pressure controlled. 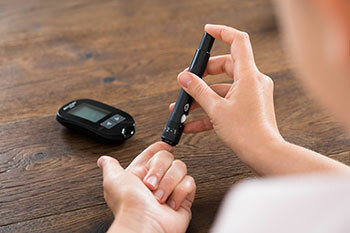 Some patients do require more than one drop to keep the pressure controlled. If eyedrops are not controlling your eye pressure or as an alternative, a laser treatment may be recommended. This office laser, called Laser Trabeculoplasty (ALT/SLT) can stimulate the drainage chanels in the eye to function more efficiently. The laser treatment is typically painless. It is a low risk procedure that lowers eye pressure in 70-80% of patients. In some patients the eye pressure can be difficult to control. In those patients, a surgical trabeculectomy is recommended. This is an outpatient procedure that involves making a new outflow drainage site in the eye. Such surgery has an 80-90% chance of controlling a patient’s glaucoma without the use of additional eye drops. Eye Surgery Associates of Zanesville, Inc. InSight Surgery & Laser Center, LLC. Copyright Eye Surgery Associates of Zanesville - All Rights Reserved.